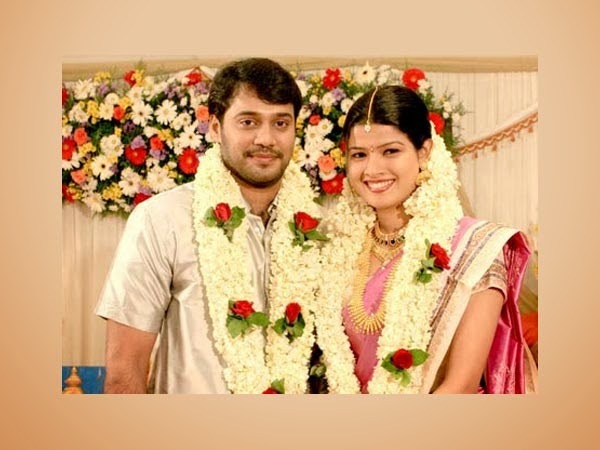 Mollywood industry has seen many love marriages - both onscreen and off screen. Some of them are still a success while some of them have parted their ways. We have also witnessed that some stars who got divorced and then later got into another relation and got married. And surprisingly they lead a happy life now. Usually rumours are said to be a major reason for all break-ups. A littile spark of doubt onto the life of a person can ruin his/her life. And when it comes to celebrities, the case is even more worser. Intrudence of media worsen the situation and everything ends up very fast. Marriages and divorces are very much comman in Bollywood. Now it seems that even Mollywood has taken up the path of B'Wood. Lots of divorces happened recently in the industry, which can be cited as a very good example. There are many successful love marriages in the industry. There are star couples as well as stars who got a love marriage outside the industry. However, the number of divorces in the industry are getting increased day by day. Regardless a solution, people prefer a separation. But there are some couples in the industry who can be cited as an example for leading a wonderful love marriage. Ananya and Anjaneyan got married despite her family's support. Now they lead a healthy family life. 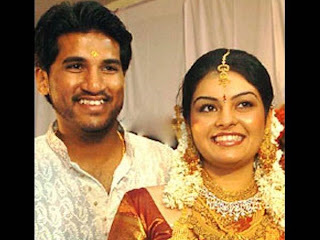 Bala fell in love with Amritha when he came as a guest at the Idea Star Singer Reality Show. He happened to hear Amritha singing. Love sparked in him then and later they too got married. They have a daughter now. Indrajith and Poornima happened to meet on the sets of a movie. Later they started dating each other later on and got married. They too are one of the hottest couples in the industry. 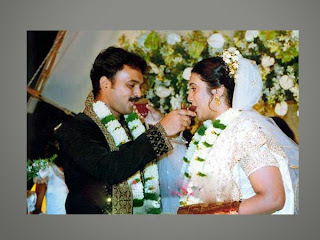 Kunchacko Boban and Priya too had a love marriage. She was a big fan of him earlier and used to write him letters. Later the actor fell for his fan and both got married. Nithya and Arvind Singh happened to meet in a flight. He was the pilot. They fell in love later and got married. 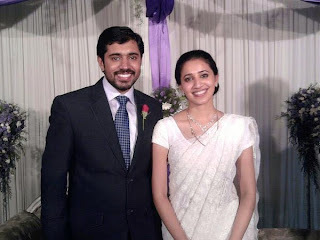 Nivin Pauly and his wife were college mates and they fell in love while in college itself. They made their love into a success by getting married and now they are survived with a kid. This is one of the hottest love married couples in the industry. Prithviraj dated Supriya, who is a correspondent in IBN. They happened to meet in an interview and fell in love. Though late, Shweta Menon too had a love marriage. Sreevalsan Menon was her close friend. Later on, they became very close and decided to get married. Sabaina is their only daughter. Sreevalsan has another kid from his previous marriage. Vijay and Darshana were family friends. Love sprouted between them and later they got married with the blessings from their families, though they were from two different religions. 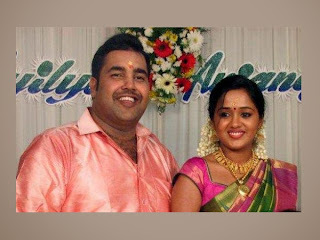 Vineeth and Divya were also college mates. She was his junoir in the college. They happened to meet when the seniors were ragging the juniors. Love blossomed after that and now they are married.